Havenworth Coastal Conservation was established in 2010 (then Haven Worth Consulting) by Tonya Wiley to promote the protection of imperiled marine species through research, outreach, and education. 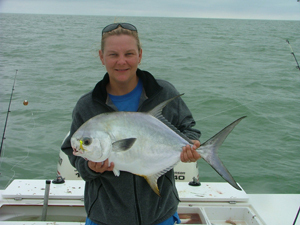 Tonya received a Bachelor of Science degree in Marine Fisheries from Texas A&M University at Galveston in 1998. Following graduation, she completed internships with the South African White Shark Research Institute and the U.S. Geological Survey-Biological Resources Division. 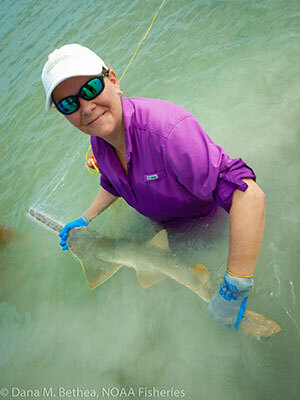 Tonya previously worked for the Coastal Fisheries Division of Texas Parks and Wildlife Department as a Marine Finfish Hatchery Technician, Ecosystem Management Technician, and Fisheries Outreach Specialist; and for Mote Marine Laboratory's Center for Shark Research Sawfish Research Project conducting conservation biology studies of the endangered smalltooth sawfish. Tonya founded Havenworth Coastal Conservation to combine her passions for conservation research and public outreach to promote the sustainable use and conservation of marine species and habitats. Fearing, A., K. Smith, Wiley,T., J. Whitty, K. Feldheim, P. Kyne and N. Phillips. In Review. Looking Back for the Future: Utilizing Sawfish Saws from Natural History Collections to Conserve the Critically Endangered Largetooth Sawfish Pristis pristis Biodiversity Information Science and Standards. Wiley,T., A. Brame, J. Carlson, G. Burgess, S. Fordham, R.D. Grubbs, J. Osborne, G. Poulakis, R. Scharer, and D. Bethea. A Review of the Biology, Ecology, and Status of Smalltooth Sawfish (Pristis pectinata) in the United States. Endangered Species Research. Wiley, T. R. 2002. Did You See What I Saw? Sawfish Are Struggling to Survive in a Changing Marine Environment. Coastal Conservation Association's Tide Magazine, Vol. 25, Issue 6. 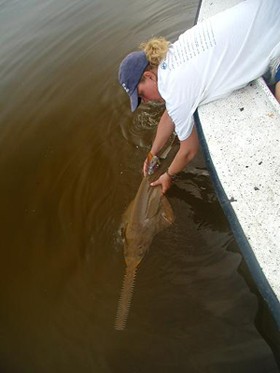 $11,040 Update the Smalltooth Sawfish Recovery Plan and Conduct a 5-year ESA Review. *Field activities were carried out under ESA Protected Species Permits issued by National Marine Fisheries Service. "Conserving coastal ecosystems through science and outreach"